It was a long day up at work today. 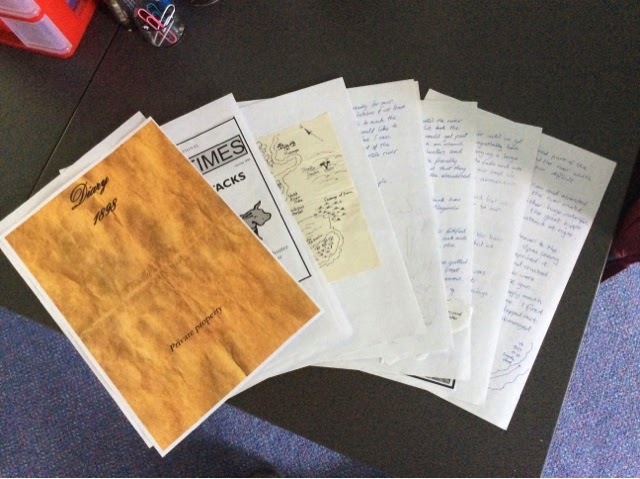 I finished unit plans for The Wild Swans and James and the Giant Peach and started to put together material for a website re-boot. 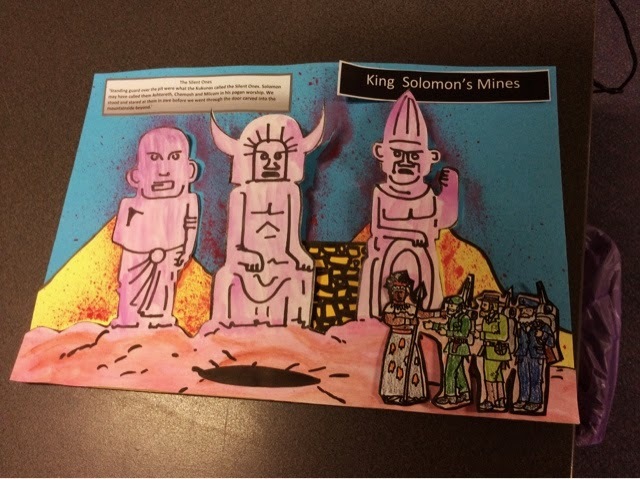 In the afternoon a did a sample for an art task for King Solomon's Mines. 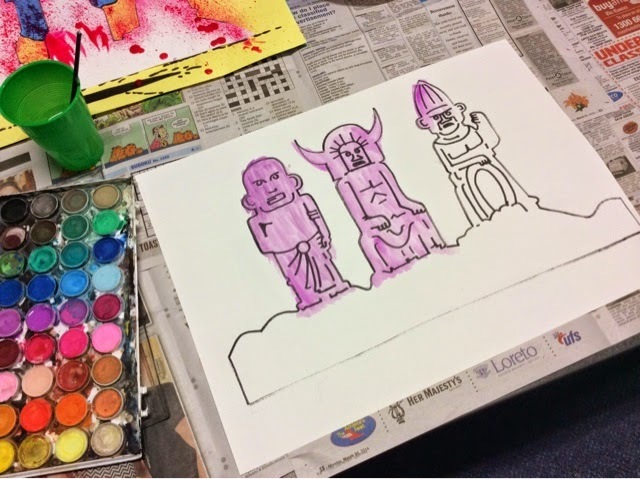 I used a toothbrush to flick ( speckle) paint around a template, in this case the scene where the adventurers discover the giant statues ( The Silent Ones) guarding the mine. 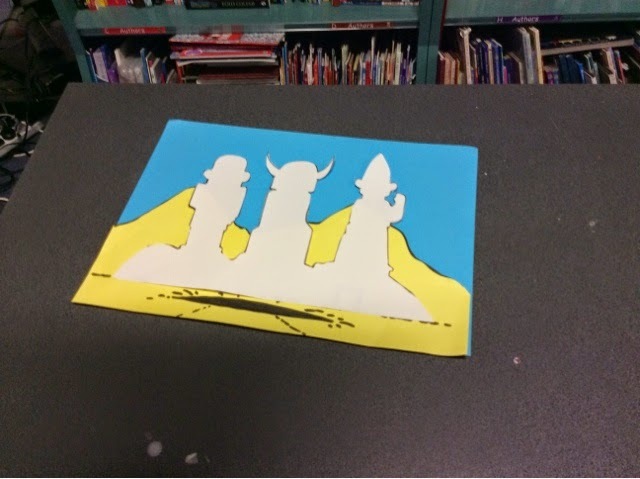 I drew the background on colored cardboard and then placed the outline of the statues on the picture. I splattered the paint around the template and then removed it. I painted another template with the statue details included. I added a title and a description of the scene. 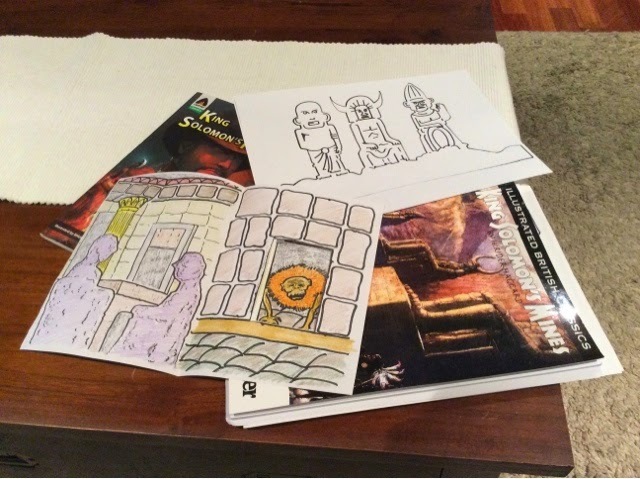 I also added a picture of the adventurers to the foreground. I'll laminate it after I show it to the kids. 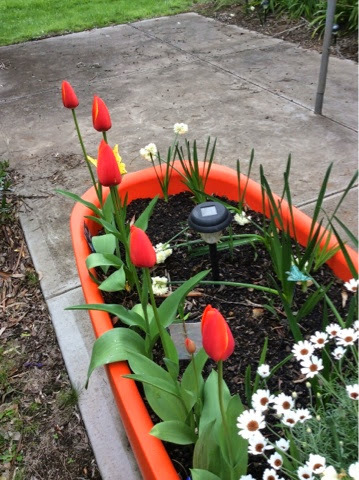 We had a big storm today which ruined the tulips. 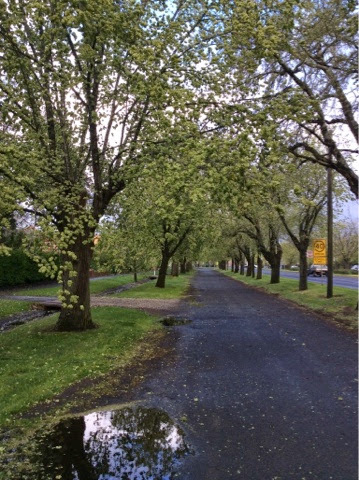 Below is a spring scene from Ballarat's Sturt St.
Today I went to school in the afternoon to finish off my unit on King Solomon's Mines. I decided to create an interactive scene from the story and chose the death of the evil witch- doctor Gagool. I played around with it today and created something I hope will work out. 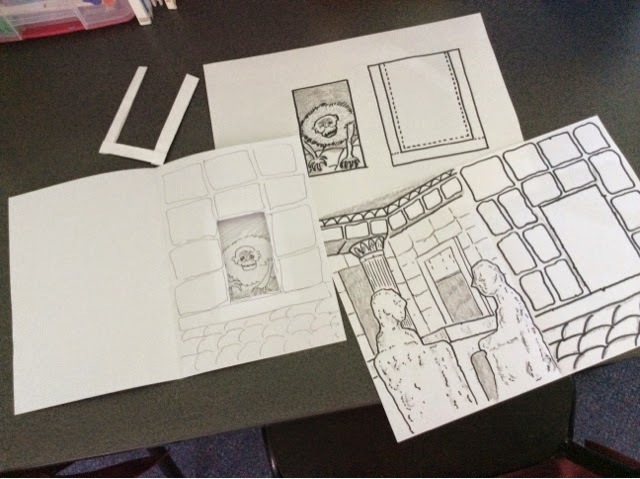 I scanned my work into the unit and wrote directions for how to make it. 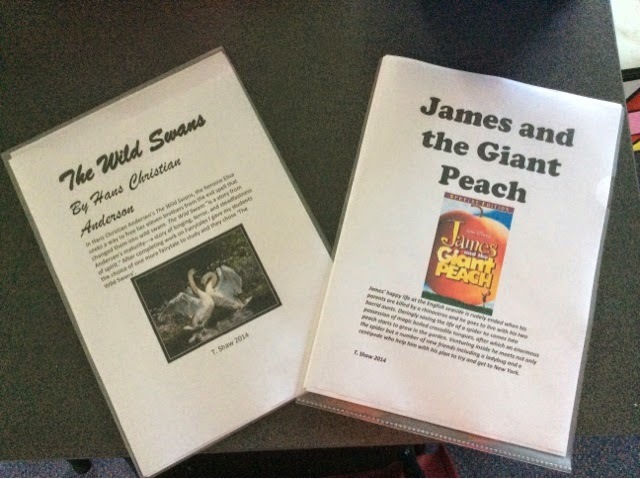 I'll go back up again for a full day tomorrow to complete units for James and the Giant Peach and the Wild Swans for the grade 1-2 kids. The Australian public, not individuals, profits most from higher education but students shoulder most of the cost, according to international figures that undermine the government's claim that students should pay more because they benefit most. Australia bucks the international trend as one of only five OECD countries where the public profits at a higher rate than the individual. It ranks second out of 29 countries – behind only Britain – for the biggest benefit to the public, while in 24 countries the private rate of return outweighs or equals the public rate. Economist David Richardson from The Australia Institute says the OECD study "demolishes the claim" that higher education benefits individuals more than the public. "The rest of society does get a hell of a lot of benefit out of educated people," Richardson said. Leadership needed not re-cycled promises. Denis Napthine was on his way to Melbourne's outer south-east for a school announcement this month, but things didn't quite go according to plan. It was meant to be an easy gig: pledge an upgrade worth $12 million; talk up the value of education; smile for the cameras and be on your way. But before the premier and his education minister had even reached the gates of Cranbourne Secondary College, assistant principal Neil Williams was on ABC radio with Jon Faine, revealing an uncomfortable truth. The upgrade Napthine was about to unveil had actually been pledged by Labor in 2010 – only to be shelved once the Coalition won government, Williams explained. Now, almost four years later, it was back on the agenda. "There must be an election in the air, Jon," he quipped. Williams' cynicism was hardly surprising given the government's education credentials haven't exactly shone since coming to office. Despite boasting "record funding", Victorian schools still receive less per student than any other state or territory, and less than the national average. 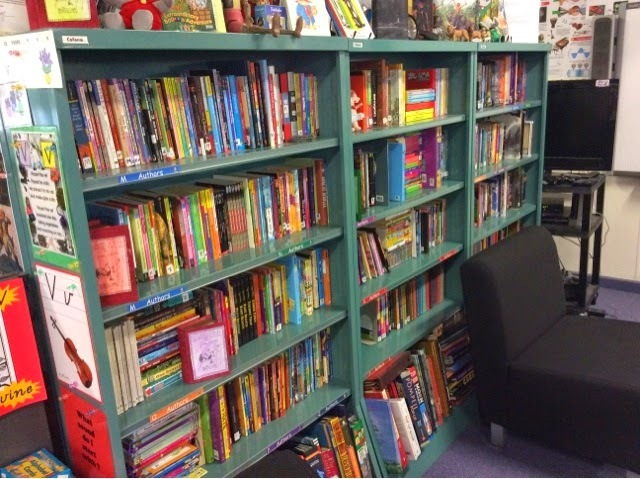 Government cuts – to regional offices, to literacy and numeracy coaches, or to vital programs such as Reading Recovery – have compounded frustrations. And even the much-hyped Better Schools funding deal, which was designed to bridge some of the longstanding gaps, remains a mystery for anyone trying to track how the cash is flowing. As one school principal recently asked: "Where's the Gonski money?" Having done the bare minimum to genuinely advance Victoria's 1635 public schools, the Coalition is now embarking on a bricks-and-mortar bidding war with Labor in a bid to catch up ahead of November's poll. As Tomazin states investment in bricks and mortar is always welcome, perhaps it's time to reframe the debate. If both sides of politics devoted as much time as they do talking about infrastructure to coming up with policies that improve the breadth of the curriculum, tackle student inequality especially in rural Victoria, and give teachers the support they need, schools may be less despairing. These days, principals use words like "abandoned" and "isolated" to describe their relationship with the Education Department. It's hardly a ringing endorsement. Part of the tension stems from the Coalition's ludicrous autonomy agenda, which has redefined education by moving away from the "top-down" approach of previous governments. On one hand, this is a good thing: the thinking is that by providing schools with the independence they need to collaborate with others or respond to their local communities, the performance of the system will improve overall. But principals say they don't just need more independence – they need the assistance and resources to match. Without it, the notion of "autonomy" seems like a paltry excuse for schools to do more with less, while the government abrogates its own responsibilities. So far, the right balance has not been struck. Schools are increasingly being required to take on things that used to be done (or paid for) by the department. Being given education data for our Local Government Area and being expected to gain insights from that at a recent Regional Directors meeting is a classic example of this. Schools don't function within LGAs. That big picture data should be unpacked and responded too at a regional level....oh yeah that's right the regions were cut back and merged. there is nobody in the regions to look at the big picture. It is scandalous that NOTHING has been done over the last 4 years to close the gap between the educational opportunities and performance of rural students compared to metro students. that gap is widening. where is DEECDs and the government's response to the auditor generals report into that? Nowhere! It is all about cost cutting- pure and simple! The recent distraction from the funding debacle for state education comes in the form of the recent 16 million funding deal with the Abbott government for greater school autonomy! 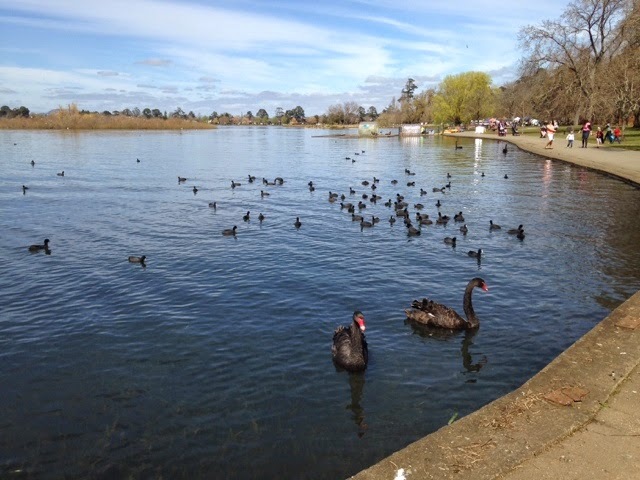 Victoria and the Canberra have signed an agreement giving schools access to new funding over the next four years if they undertake a range of activities designed to make them more self-governing and accountable for their results. The deal forms part of Tony Abbott's election pitch to create at least 1500 "independent public schools" by 2017. Unlike Western Australia, where the idea was pioneered, Victorian schools will not be formally rebadged as independent public schools but will still get money for a range of targeted activities: training staff to "assume greater decision-making powers" over teachers; giving schools extra authority to select principals; merging school councils into federated boards. The government argues the deal will simply allow schools to "build capacity" and take advantage of the independence already available to them. Not surprisingly, critics fear it will exacerbate the gaps in education and lead schools down the path of privatisation by stealth. NAPLAN moves into the 21st Century? Online NAPLAN tests that become progressively more or less difficult depending on how many answers students get right yield more precise results and lead to greater student engagement, a major trial has found. The tailored tests, which will be adopted when the national assessments move online over the next few years, were found to be especially beneficial for the highest and lowest performing students, who previously may have been unchallenged by easy questions or felt deflated and given up when questions became too difficult. Students who participated in the trial reported feeling positive and accomplished and were not affected by the shifting level of difficulty throughout the test. The tailored format can also reduce anxiety and boost self-esteem because students are not discouraged by increasingly complex tasks. ACARA states that "In an online administration, we can test when the student is ready, earlier or later, depending on each student's achievement level and progress throughout the school year." Future exams would also include technologically enhanced questions, currently being trialled, which might ask students to edit texts, shade graphs or shift angles. When parents at Altona Primary School received their children's NAPLAN results this week, it came with a note from the "proud" grade 3 and 5 teachers. 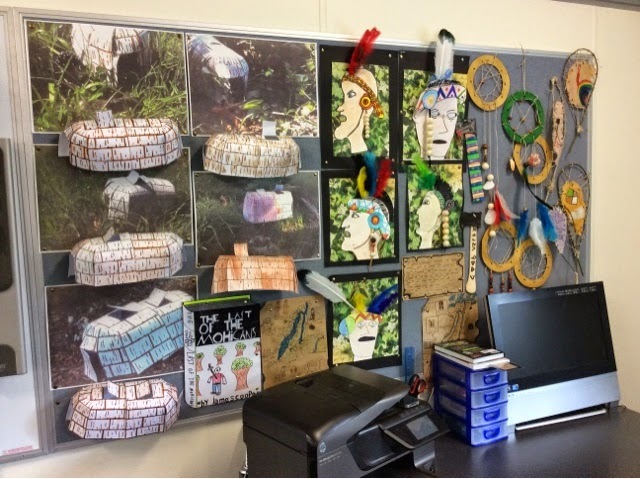 The school was proud of its students, the note said, as they had demonstrated huge amounts of commitment and tried their very best in the tests. "However we are concerned that these tests do not always assess all of what it is that makes each of you special and unique. 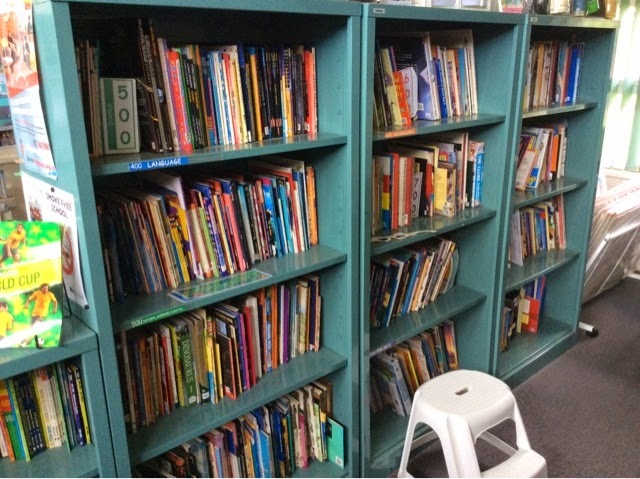 The school said "While we know NAPLAN does serve an important purpose, we thought it was important that children had a holistic view of the assessment." Meanwhile, the Australian Primary Principals Association released a discussion paper arguing for NAPLAN data to be removed from the My School website. President Norm Hart said schools should report their NAPLAN results, together with the national and state results, to students, parents and the community. "However, the evidence is clear that when a school's results are published on My School, NAPLAN too often becomes the key source of information about a school, and this is particularly so when league tables result." Mr Hart said the comparison of schools had led to a stifling of creative and effective teaching. Not surprisingly ACARA disagrees saying that publishing data aids transparency. Grand Final day in the AFL today. It is becoming a big day ( Like the Super Bowl in the US ) with lots of parties and gatherings with a football theme. 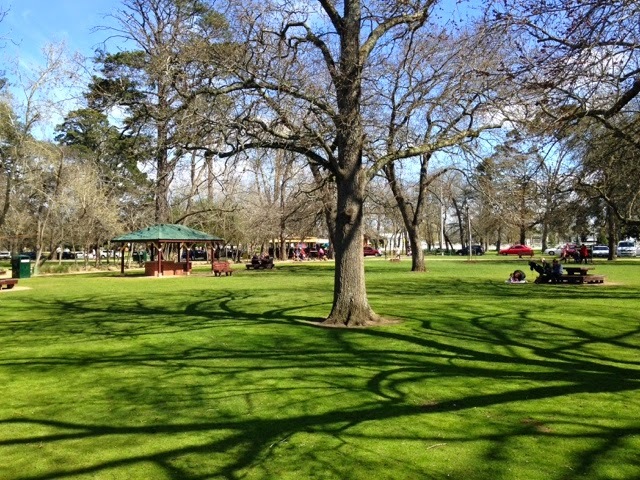 ( Ballarat is very quiet today) It's surprising how many people I saw in town this morning wearing their football colors. Apparently it doesn't matter if your team isn't playing. I must be a party pooper because I can't get too excited if my team isn't involved. I'll still watch it on TV when I get home. 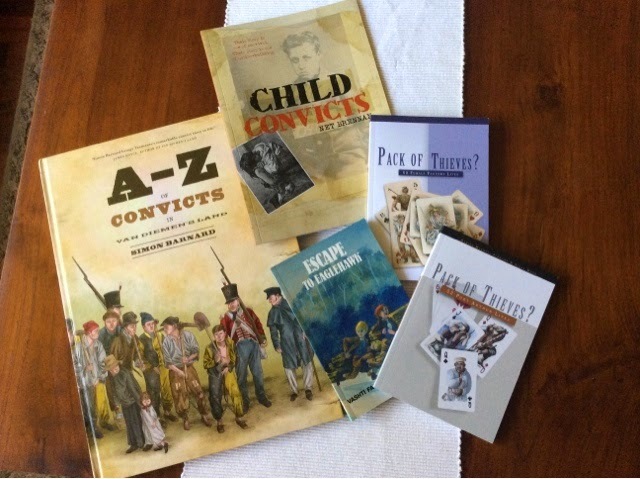 Books we brought back from Tasmania to help with future work on convicts and early Hobart. Pre- school teachers will strike next month. 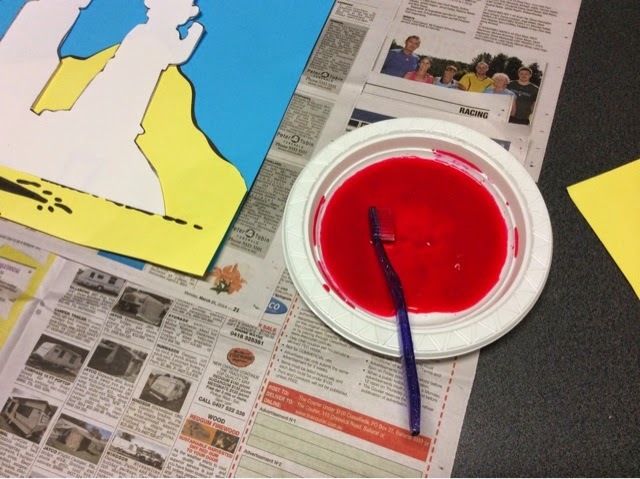 The AEU expects over 400 preschool teachers to attend a rally in Melbourne on October 22nd. They are paid between 5-9% less than teachers! Popped up to school to start preparing for the next term. 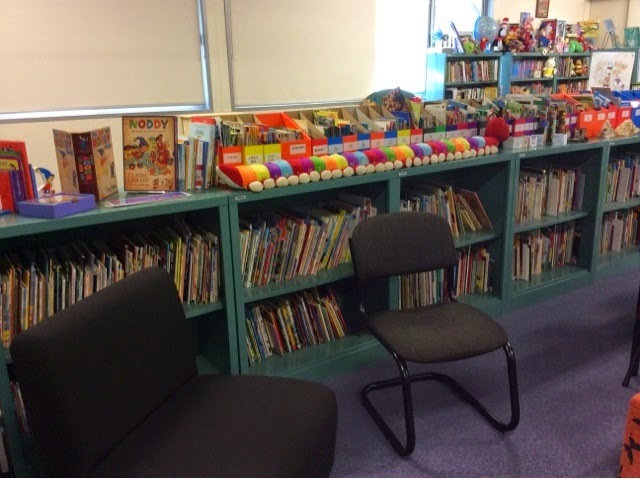 I tidied up the non-fiction library and the old classroom in general which was becoming a bit of a dumping ground. 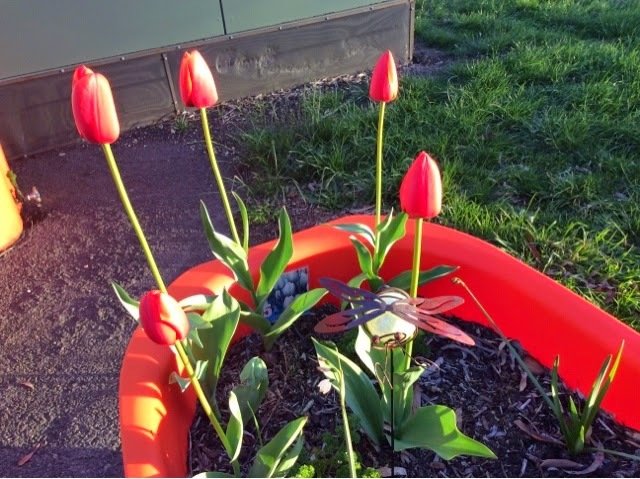 Below is a photo of some of our tulips that have popped up while I was away. 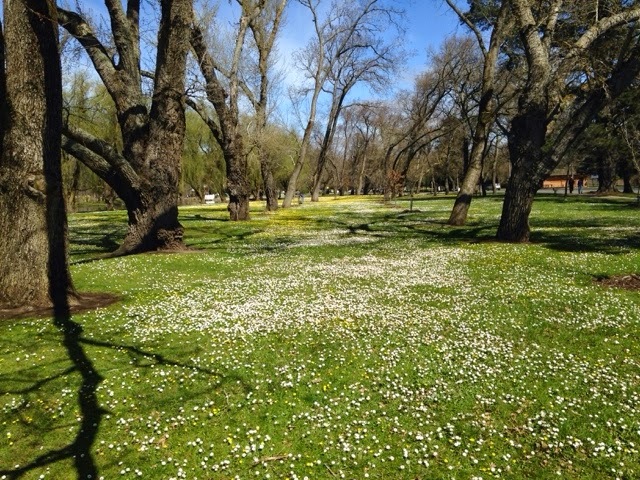 Our lawn is looking very healthy. 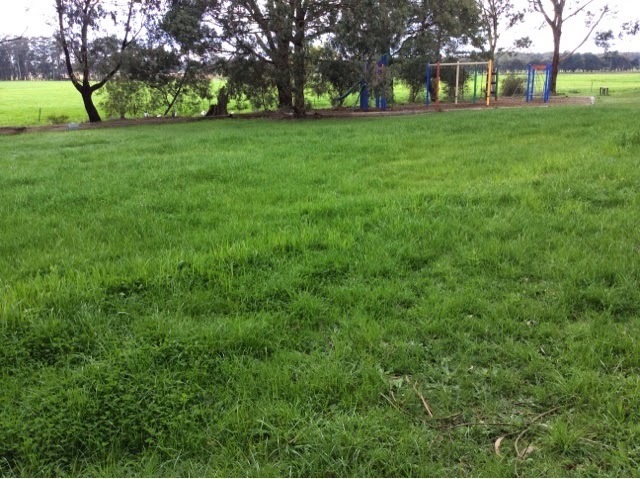 It doesn't seem all that long ago our oval resembled the Simpson Desert.I decided to leave the mowing until the first week back and let it grow a bit. 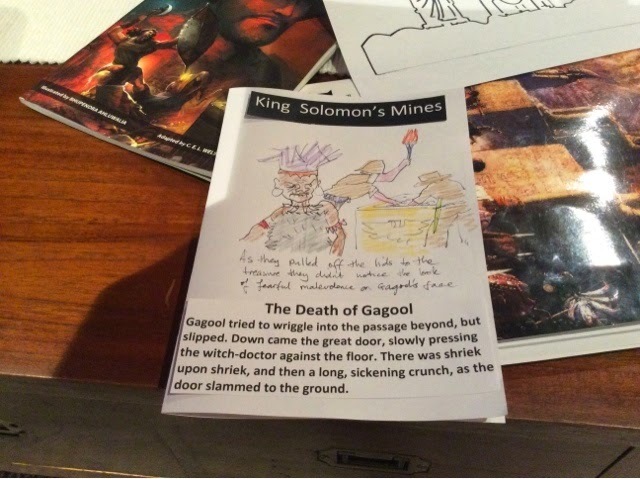 This afternoon I started work on our first literature unit of term 4, King Solomon's Mines. 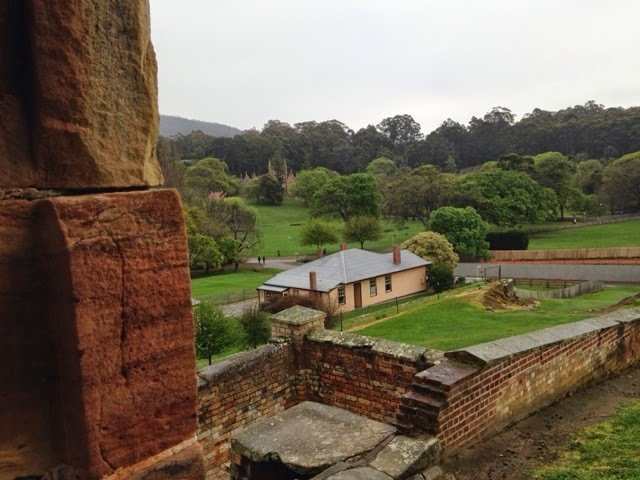 Photos of Hobart and Port Arthur. 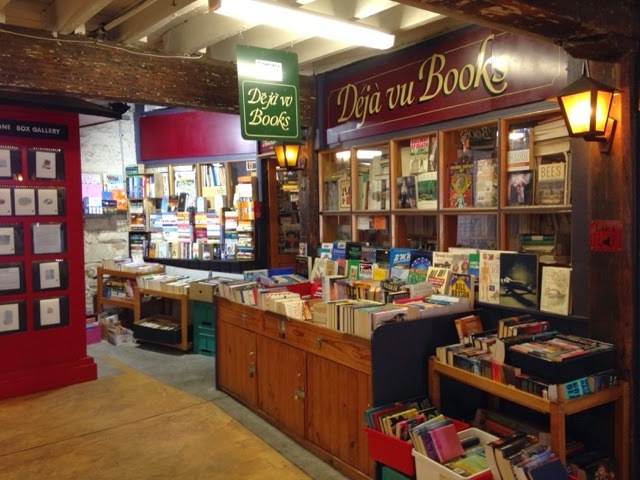 the Déjà Vu Book shop Salamanca. 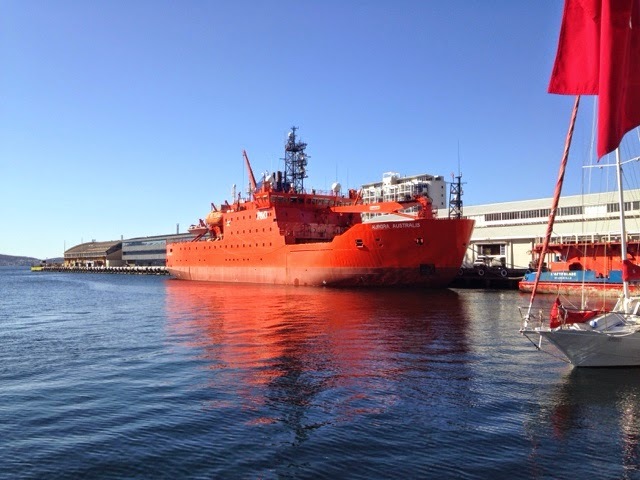 The Australian Antarctic supply ship the Aurora Australis in its home port of Hobart. 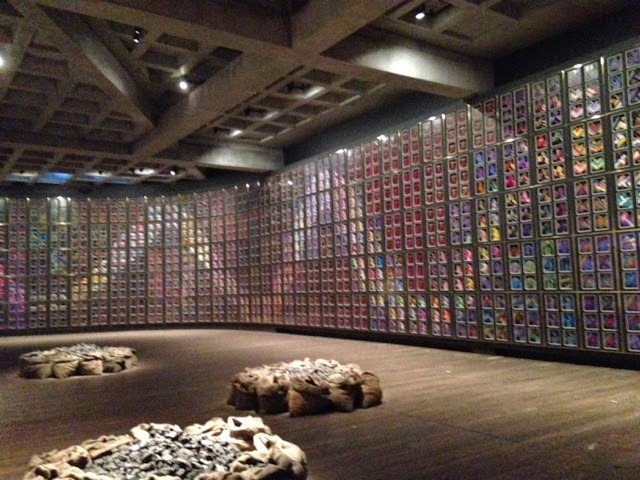 One of the sensational galleries in the Modern Museum of Art in Hobart. 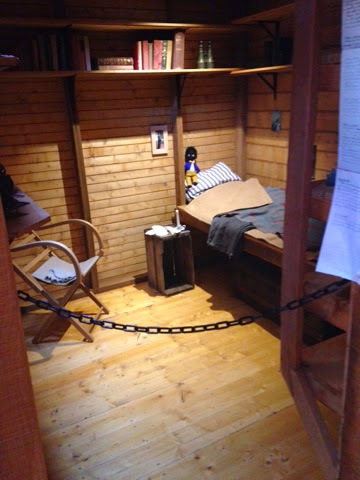 One of the bedrooms in the recreation of Sir Douglas Mawson's Antarctic hut. The Hobart Museum and Art Gallery and Maritime Museum were also impressive. 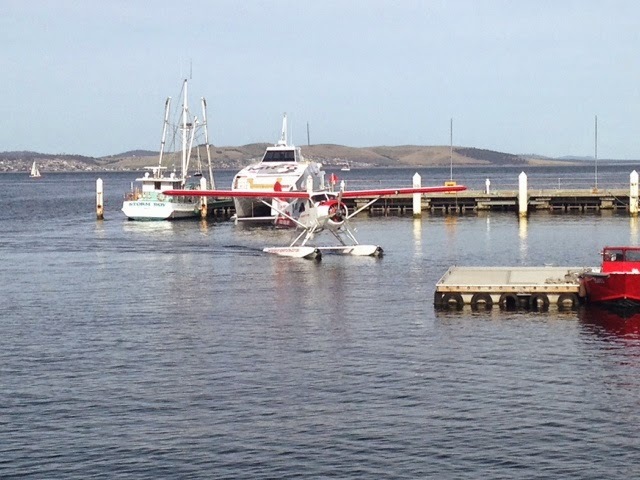 Hobart Harbour- seaplane returning to port. The Commonwealth education minister gets his priorities wrong again. The Abbott government is facing more scrutiny over travel entitlements, with fresh documents revealing Education Minister Christopher Pyne and his wife had a taxpayer-funded $30,000 trip to London and Rome in April. The trip included taxpayers being billed $1352 for Mr Pyne to "day let" a room at a swish London hotel before he and his wife, Carolyn, flew back to Australia later that day, and more than $2000 for VIP services at Heathrow Airport. "It is not sufficient to include the spouse in the minister's existing program of meetings. The travel must be justified and defensible," the guidelines state.Under the Department of Prime Minister and Cabinet's travel guidelines, ministers' spouses are not normally allowed to go on trips and are only entitled to if they have an invitation from a foreign government or host organisation and an official program of events separate to that of the minister. 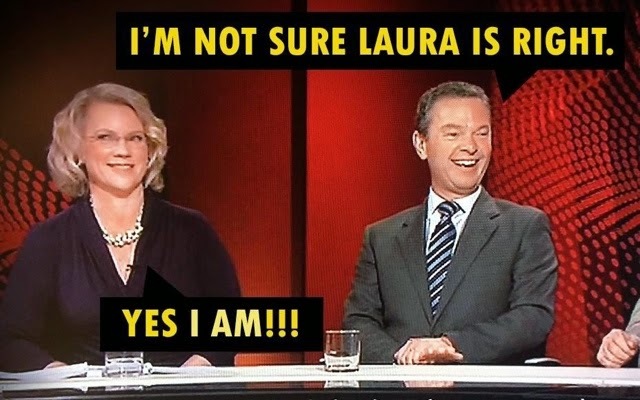 The Department of Education has revealed in response to a Freedom of Information request that it has no documents showing a foreign government invitation for Mrs Pyne nor an official program of events for her. Of course the Treasurer Joe Hockey declared "the age of entitlement" to be over and weeks before the federal budget made significant cuts to education and health spending. The Abbott government last year made changes to politicians' travel entitlements after a series of reports about high-profile ministers and MPs billing the taxpayer to attend weddings, NRL games or investment properties.Nice for some. I'm really looking forward to these spring holidays. 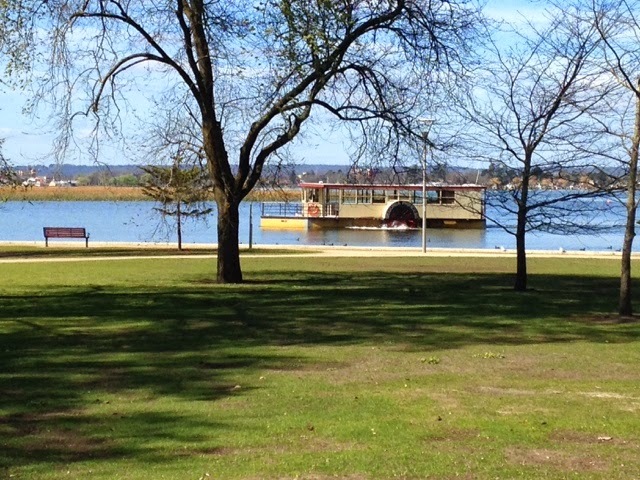 I intend to take the first week off completely.It has been many years since I've done that but I really need to do it. I'm pooped this week and want a complete break until week two of the holidays. 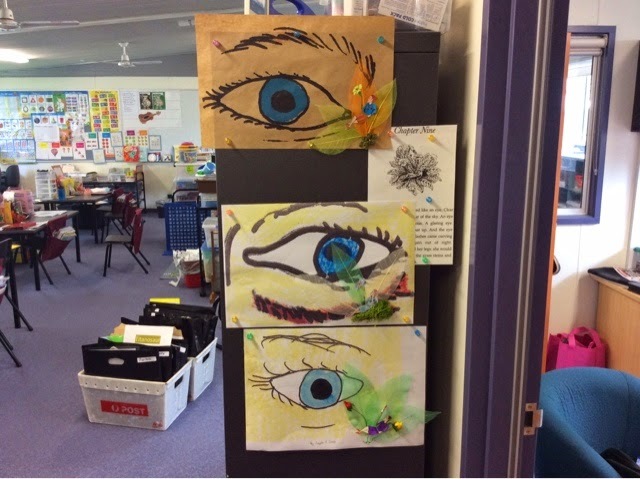 I've already done a lot of preparation in maths and English for our early years students. I'll put some units on TPT tomorrow but that will be the last blog entry for a while! In the second week of the holidays I do have a lot of admin to finish and cleaning, work in the library and some new units to develop for next term ( King Solomon's Mines, Holes, Murder on the Orient Express and Stig of the Dump. 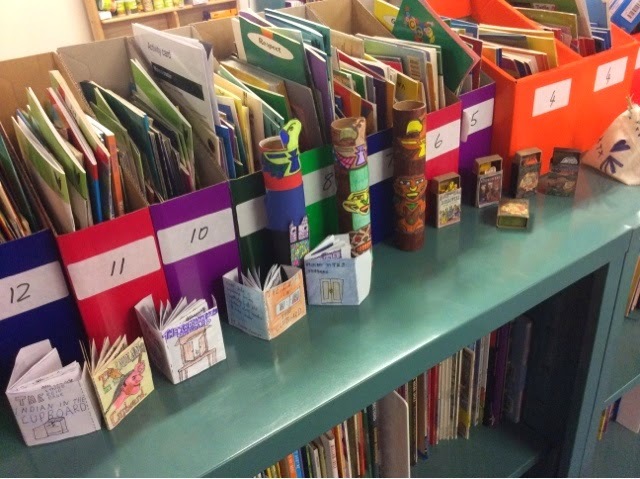 I also want to develop some lit units specifically for the grade 4s. There are also several science units to prepare and excursions to look forward to.) We have an overnight Camp in December and I've booked tickets for us to see The Lion King next year. It is a VERY busy term coming up, I will be organised for it but a rest is long overdue. Today we just took it easy. 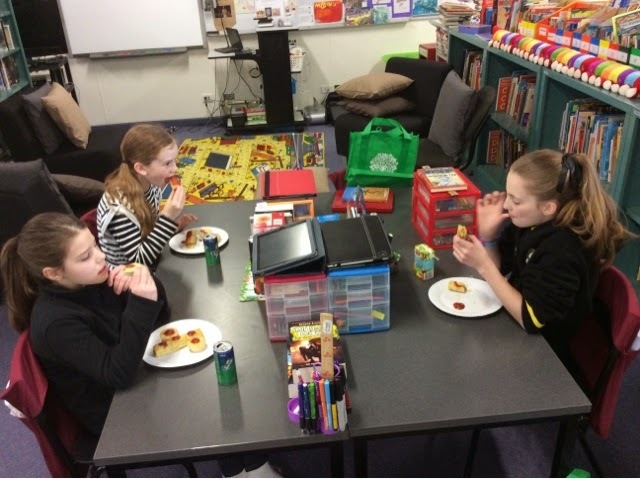 We tidied up our desks, took some of our work books home and added examples of our learning from this term to our portfolios.We had party pies and sausage rolls for lunch and dressed in Footy colors. ( Go Bombers!). We also watched the 1997 version of the Borrowers which was good but a huge departure from the book which we finished this morning. 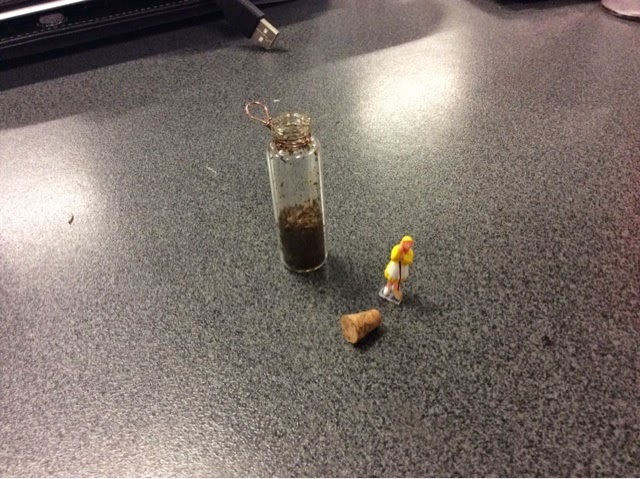 I'll post my units for The Borrowers and The Last of the Mohicans tomorrow. 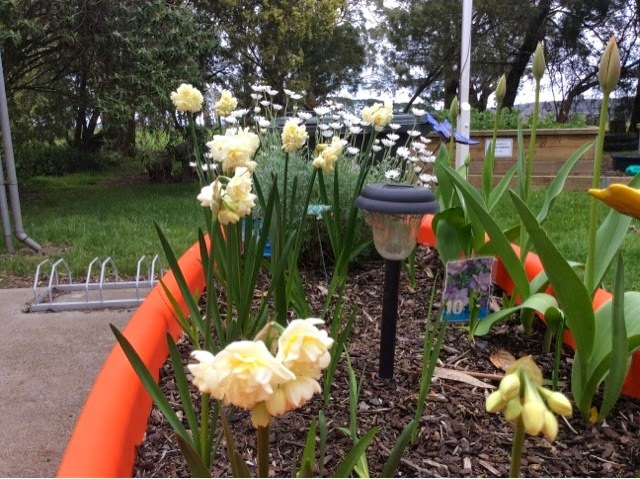 Below is a photo of some of the kids eating their 'footy lunch' and some of our flowers that are popping up. By the way, thank you for 27000 views. I hope people find information of use to them. 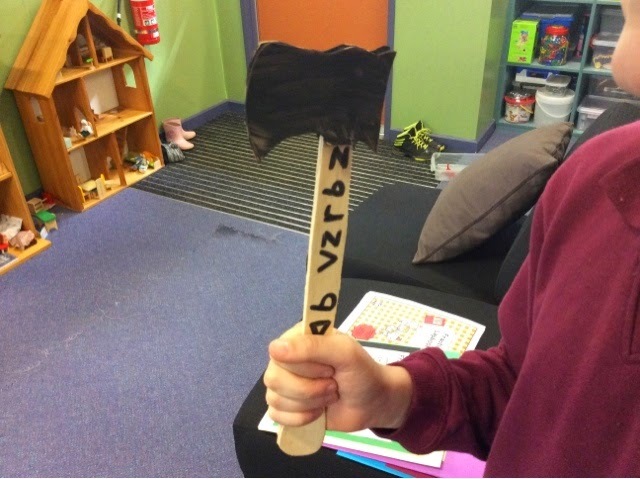 Today one of my students finished his tomahawk. He did a great job carving the handle out of thin balsa wood and writing symbols purporting to be from an Indian alphabet ( Creek Indian.) He wrote 'peace bringer' on the handle. 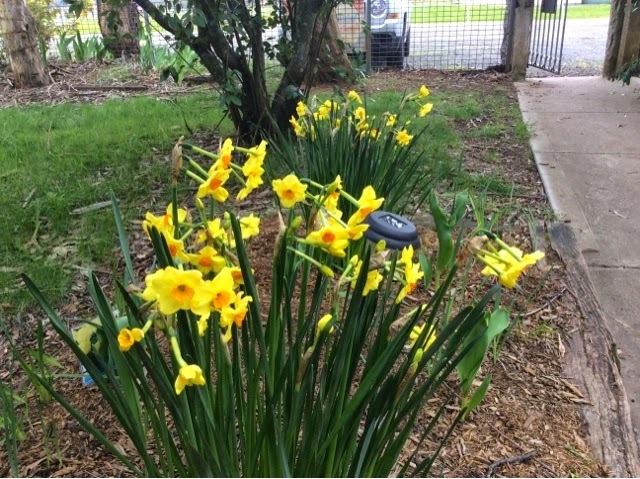 Lovely sunny spring day today and our bulbs are popping out everywhere. Pity outrage garden looks its best during the school holidays when I'm the only one about to see it. 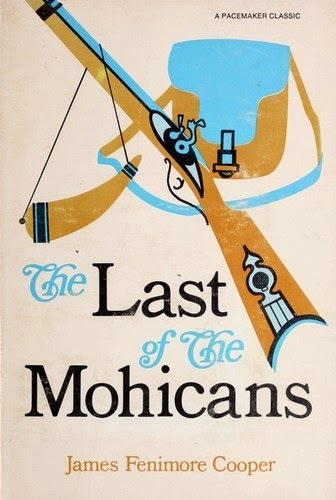 As the winter term draws to a close we are finishing off our Last of the Mohicans theme. 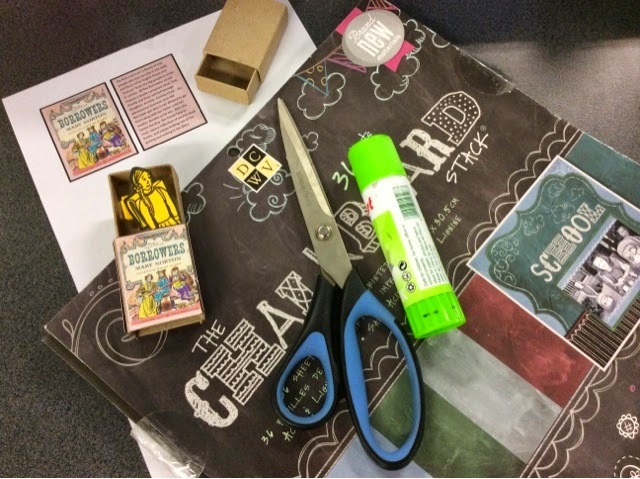 We finished reading The Indian in the Cupboard today and completed our mini- books ( on the left in the photo below) I'll have to try and find a few of the sequels, I've ordered the first sequel of the Borrowers. 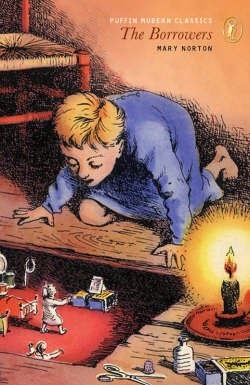 Tomorrow we have some Borrowers work to complete and I hope to finish the novel by Friday morning. Victoria's most disadvantaged schools will receive $42.5 million next year to replace the scrapped payments made to low-income families to assist with the cost of uniforms, camps and computers. The funding will be given directly to the poorest schools, with principals given the power to determine how it will be spent. But needy parents whose children attend better-off schools will now miss out on assistance. The lion's share of the money - $34.5 million - will be allocated to more than 700 state schools, which educate the most needy students. Independent and Catholic schools will receive $8 million. The payment provides more than 200,000 Victorian students from low-income families with up to $300 a year to help with school expenses. The Victorian Council of Social Service, which has called on both parties to commit to assisting families meet education costs in the lead-up to the state election, was concerned families with health cards would no longer automatically receive payments. "Families will have to have a discussion with schools about needing help in a way they don't have to now," said CEO Emma King. "It puts principals in the invidious position of having to choose who they will give help to." Victorian Australian Education Union deputy president Justin Mullaly said the government was using federal money to pay for last year's teacher pay deal, statewide enrolment growth and the replacement to the education maintenance allowance. "It has just cannibalised the Gonski money," he said. "The government needs to come clean to schools about what additional resources they will have as a result of the Gonski deal, because in 2014 they hardly received a thing," he said. This year 73 per cent of parents who received the education maintenance allowance chose to have it paid directly to their school to cover expenses such as school fees. Mr Sal said schools that no longer received funding could see an increase in unpaid school fees. He was also concerned the changes could lead to conflicts between principals and parents, who could not understand why they were no longer receiving personal payments. A report from the National Tertiary Education Union has confirmed that $100,000 degrees will be a reality before the end of the decade under The Pyne/ Abbott higher learning plan. The NTEU found it may cost $116,970 to study medicine, $92,444 to study science and $90,040 to study law — putting these degrees out of reach for most Australians. The OECD has issued a damning verdict on education policies that promote competition between schools. Its latest PISA in Focus brief says that the PISA international test data show that more competition has failed to improve student results and has increased social segregation between schools. "Across countries and economies, performance is unrelated to whether or not schools have to compete for students ... Competition among schools is related to greater socio-economic segregation among students." Increasing choice and competition has been the dominant education policy in many countries since the 1980s. In Australia, it has had bipartisan support at both federal and state levels for the past 20 years. Increasing competition was the centrepiece of the education policies of the Howard, Rudd and Gillard governments. It is being extended under the Abbott government's support for more independent public schools. The theory behind increasing choice and competition between schools is that it creates incentives for schools to raise the quality of the education. The threat of losing enrolments and, therefore, funding will force under-performing schools to improve their results. "The latest PISA results show that, on average across countries, school competition is not related to better mathematics performance among students. In systems where almost all 15-year-olds attend schools that compete for enrolment, average performance is similar to that in systems where school competition is the exception. Within school systems, there is no performance difference between schools that compete with other schools for students and those that do not, after taking into account students' socio‑economic status." The analysis also shows that social diversity among students is greater in school systems where schools do not compete for students than in systems with more competition. The OECD finding is particularly damning for Australia. Bipartisan support for more competition between schools has created one of the most highly competitive education systems in the world. Of the 64 countries and cities participating in the PISA tests, only Hong Kong and Singapore have higher levels of competition between schools. The latest PISA data show that 89 per cent of students in Australia were in schools where the principal reported that their school was competing with two or more schools. In Hong Kong it was 94 per cent and in Singapore 93 per cent. Despite this high level of competition, Australia's PISA results have declined over the past decade. Reading and mathematics scores fell between 2003 and 2012 by 13 and 19 points respectively, the latter decline equivalent to about half a year's learning. While private school enrolments in Australia have increased under choice policies, a Melbourne University study published in the journal Economics of Education Review last year shows that the national decline in performance was largely due to falling results in private schools, with falls in both Independent and Catholic schools. It said "the falls in school performance were more apparent in private schools than in the government-run school systems in Australia". Another study published in the same journal found that Catholic school performance has declined in comparison to government schools. Private school performance declined despite receiving much larger government funding increases than government schools. Government funding per student in private schools adjusted for inflation increased 26 per cent between 1998-99 and 2011-12 compared with 16 per cent for government schools. Government policies to create more competition between school sectors in Australia have completely backfired. Australia now has one of the largest private school sectors in the world, but its school performance is declining. Funding to promote choice and competition has also increased social segregation between students. Census figures compiled by researcher Barbara Preston show that low income students comprise 42 per cent of all government school enrolments compared with 26 per cent of Catholic school enrolments and 23 per cent of Independent school enrolments. In contrast, high income students comprise 21 per cent of government school enrolments, 34 per cent of Catholic enrolments and 46 per cent of Independent school enrolments. The failure of market-based policies demands an overhaul of Australian education policy. Resources should be directed to where they are most needed – reducing disadvantage in education rather than supporting privilege. This requires that the Gonski funding plan be fully implemented. Policy change should also promote greater collaboration between schools. Competition between schools restricts the spread best practice teaching and learning as successful schools want to retain their advantages over competitors. Collaboration between schools offers much better prospects for improving results than more competition as advocated by the federal government and the Opposition. 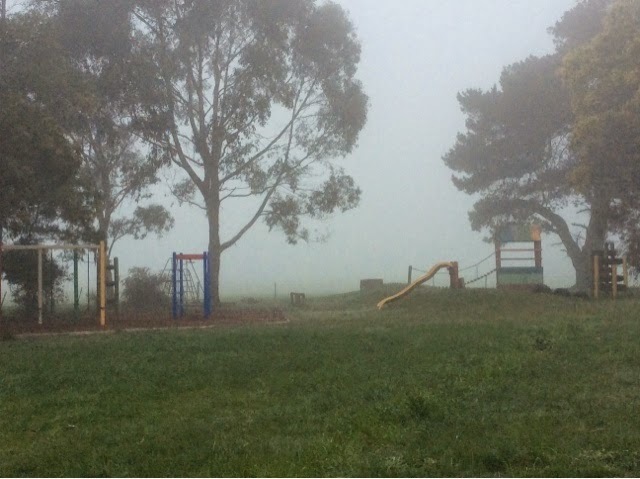 It was very foggy at work this morning but cleared by recess. 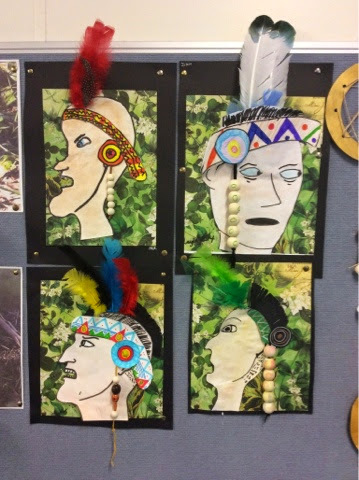 The kids completed their Indian profile pictures ( below) which look great. 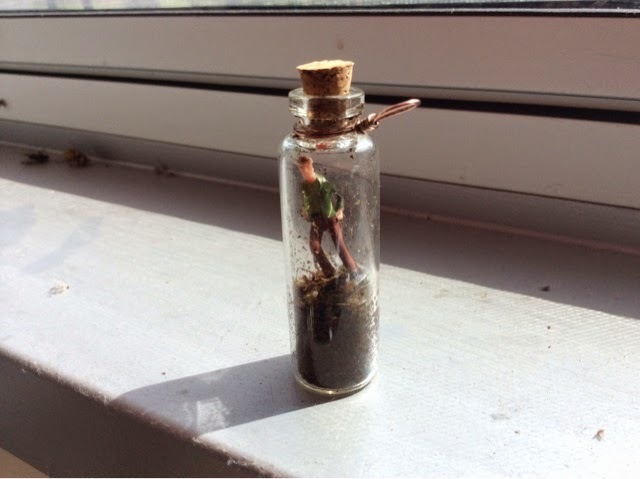 Tomorrow we'll make a picture based on Arrietty being 'seen'. 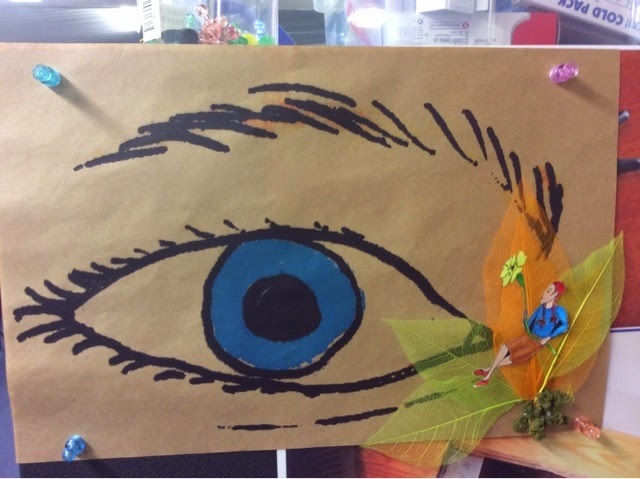 I drew and painted an eye and enlarged it and then added an Arrietty sitting on some leaves and moss. 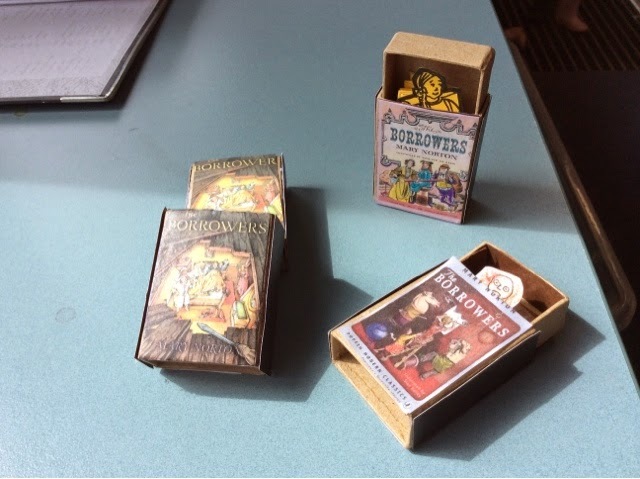 Today grade 6 students created pop up matchboxes for characters for the Borrowers. 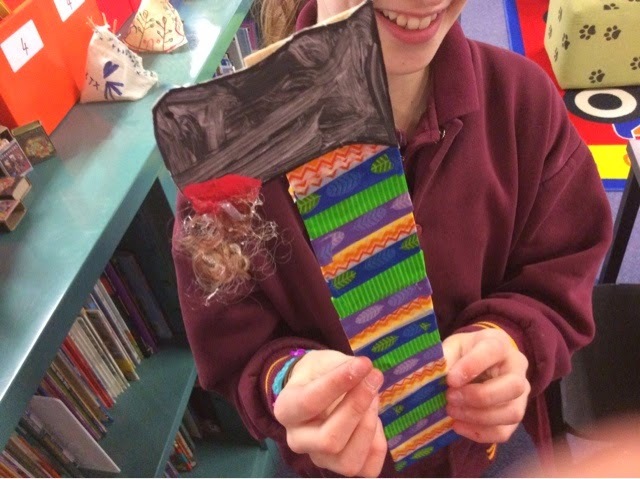 We used paper mâché matchboxes and added a book cover image to the front and a typed blurb ( font size about 6) for the back. 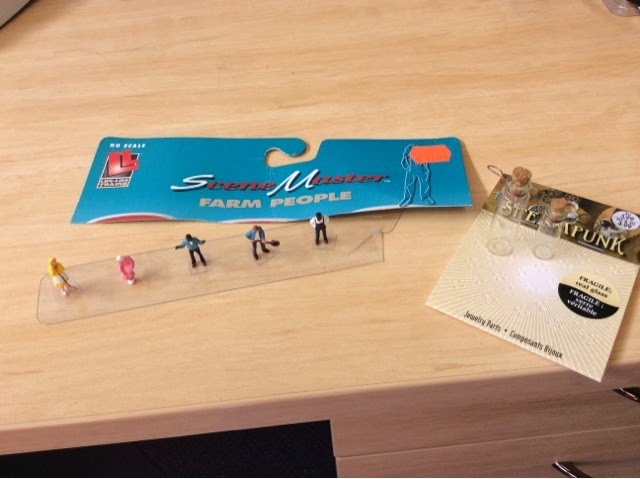 we also added scratchy surfaces to the size like real matchboxes. (We used chalkboard scrapbook paper for that) We made little characters and attached concertina folded cardboard to enable it to 'pop out'. 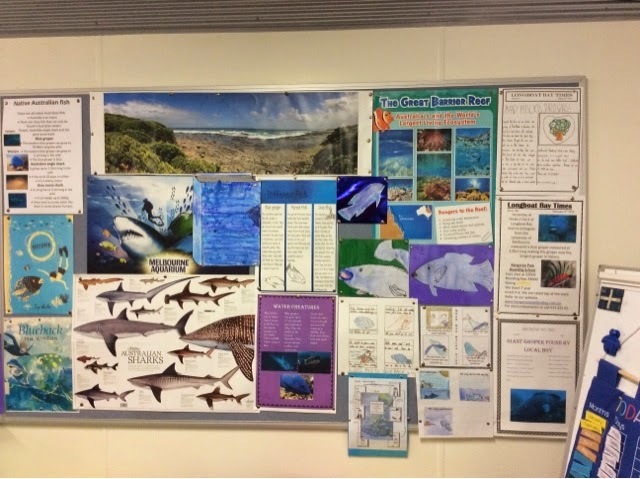 Grade 4 kids finished off their work for Blueback. 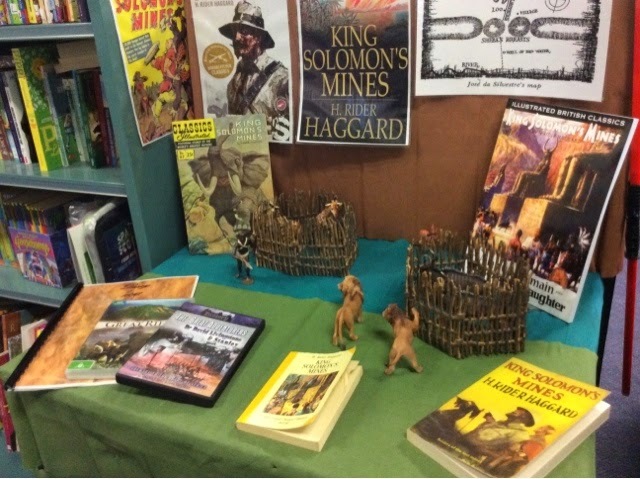 (The display board for the book is below) The children will take home their copies of Blueback and will work on Gary Crew's excellent Watertower for the remainder of the week. Why do we want to copy a failed system? If there is anything I've learnt from reading the Huffington Post Education section for the last 2 years it is that the Charter School experience in the US has been great for some schools but an unmitigated disaster for many others.....and guess which education system has learnt nothing from it and now wants to go down the same road? The Abbott government and it's fellow travellers in Victoria. Charter schools have been wonderful for affluent, middle-upper class,predominantly WASP communities in the US but have been a disaster for everyone else ( poor white or minority communities in big cities or on the fringe of big cities) It has led to the degradation of already poor, under- resourced and poorly staffed schools - or their closure and it is helping to create a new system of segregation in schooling in the US not seen since the early 60s. Do we really want to go down that path? Principals and teachers fear they are headed down a path of privatisation by stealth, after Victoria signed a contentious deal to enhance Tony Abbott's push to create 1500 "independent public schools" by 2017. Schools will get access to extra funds if they become more autonomous; parent-based councils could get new powers to select principals and acquire property; and administrative work in small schools will be increasingly outsourced as part of the $16 million agreement. The changes form part of the federal government's plan to entice at least one-quarter of Australian public schools to become more "independent" over the next three years. Modelled on the US charter school system, the concept of independent public education generally allows government schools to operate like private schools, with boards appointing principals and leaders having greater control over budget and staff decisions. 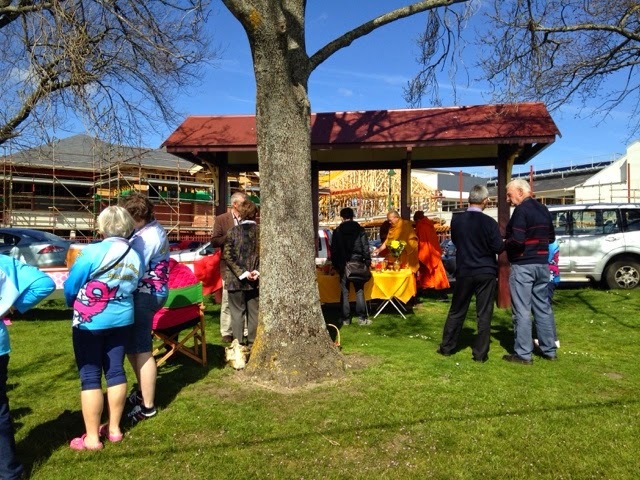 But while the concept differs between jurisdictions - and Victoria already has high levels of autonomy - it is nonetheless contentious because critics fear it could exacerbate the gaps in education and lead schools down the path of "privatisation by stealth". "We already have the highest level of independent schools in the developed world and on the basis of OECD results we aren't near the top at the moment. It could be argued that we should in fact be moving in the opposite direction. Worse still if this is an attempt to further privatise our school systems," said Berwick Lodge Primary School principal Henry Grossek. Train principals, assistant principals and business managers to "assume greater decision making powers" over their school and staff. Give school councils extra powers, which "may include, with appropriate safeguards, an enhanced role in relation to principal selection, acquiring property and assets, and investment". Schools will be encouraged to "opt in" to the program, with about 250 schools expected to benefit within the first 12 months. State Education Minister Martin Dixon said the federal money – almost $16 million over four years – would "build the capacity of principals, school leaders and school communities to take full advantage of the level of autonomy already available to them". The funding deal would also support schools embracing the Napthine government's new governance reforms, which includes moves to merge school councils, overhaul membership, and give parents more say in the performance reviews of their principals. Australian Education Union state president Meredith Peace accused the government of using its autonomy agenda to shift more responsibilities on to schools without extra support. Tarneit Senior College principal Michael Fawcett agreed, saying he was unconvinced that the latest state-federal deal would improve student outcomes. "Where's the Gonski money?" he asked. "I'm still waiting for resource funding, let alone some other mythical funding to make us an independent public school system." From bad to worse in 12 months! Worse off: the academic gap between advantaged and disadvantaged students is widening! The Australian education system is in worse shape now than when David Gonski handed down his damning assessment of it three years ago, with academic performance sliding and the gap between advantaged and disadvantaged students widening. A new analysis of My School data tells of deterioration in Australian schools since the controversial website was launched in 2010. It also finds that the disparity between the highest and lowest performing students, which is already greater than most other developed countries, is deepening. 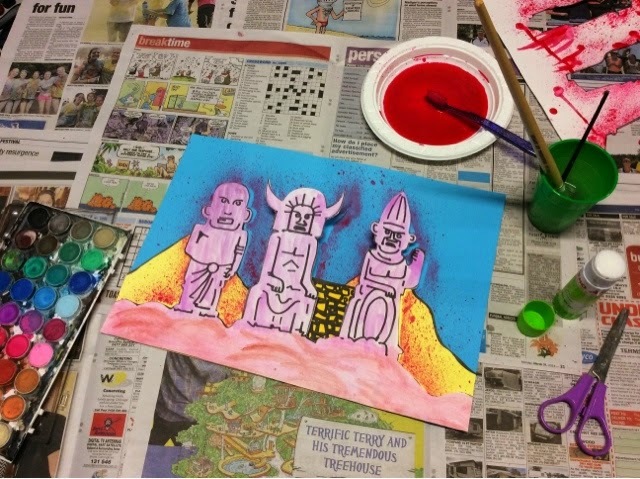 The NAPLAN test results from 2009 to 2013 published on the website show student achievement has stalled or languished across a majority of the measures. But a deeper analysis reveals, while results have climbed for advantaged students, they have slipped for those from the middle and bottom of the socioeconomic scale. The gap is especially stark in high schools. The co-author of the analysis, Chris Bonnor, says the notable trends, measured over just a few years, indicate a serious and worsening equity problem. "What Gonski found to be bad, seems to be getting worse," Mr Bonnor, a former school principal and policy analyst, said. "If we ever need another impetus to get equity right, surely this data is posing lots of questions that need to be answered." Results for years 5 and 9 show writing and numeracy scores have fallen, while reading scores rose for year 5 and were unchanged for year 9. But, when grouped by socioeducational status, numeracy scores rose for the most advantaged students in all sectors. For schools in middle and low brackets, the trend is downwards or fluctuating. The divergence is also noticeable for both year groups in writing. The trends show the link between disadvantage and poor test results has become more pronounced, particularly in primary schools and schools in metropolitan areas. Mr Bonnor said the money trail over the past few years helps explain the downward trend. He examined school funding at schools from public, private and Catholic at three different levels of advantage. While disadvantaged students receive the most in government funding, more money was spent on the most advantaged students than any other group, especially when school fees were taken into account. The analysis does not capture any changes resulting from the new needs-based funding model implemented this year. But, the report argues, the changes have occurred while the Gonski review "proceeded, reported, was variously ignored, cherry-picked, somewhat implemented then in relative terms largely abandoned". Trevor Cobbold, the convener of Save Our Schools and a former Productivity Commission economist, said the scaled-back version of the Gonski model would "fall far short" of addressing weakness in Australia's school system. The president of the NSW Teachers Federation, Maurie Mulheron, says teachers have been "trying to work miracles" without the additional resources they need for disadvantaged students. Labor's assistant minister for education Amanda Rishworth said the next generation of Australians would pay the price of the government's reluctance to commit to the final two years of Gonski funding, when the bulk of the money was due to flow through. 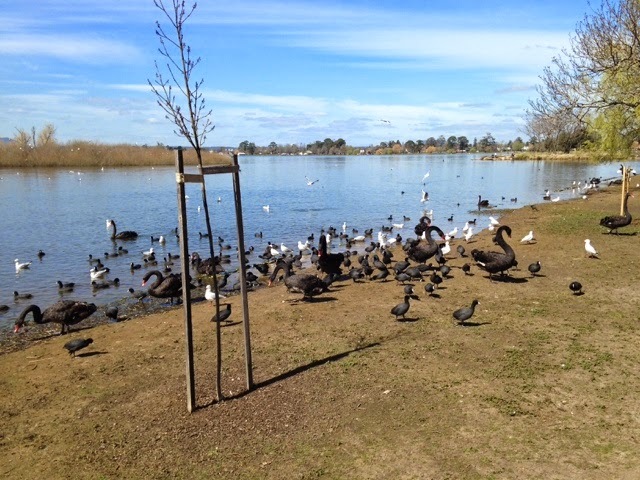 After work I went for a walk around Lake Wendouree and took a few photos below. 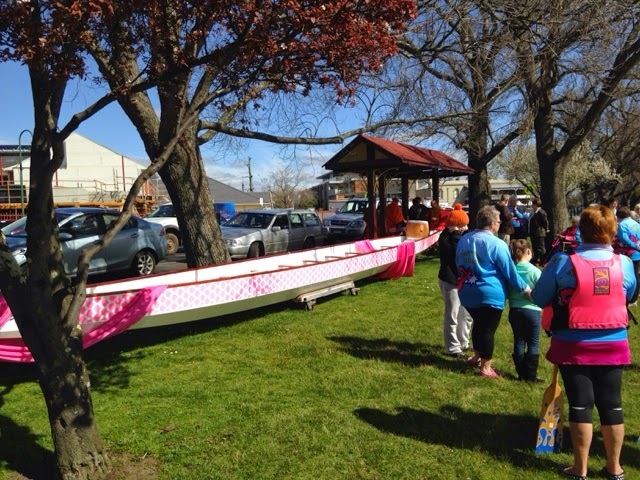 These last photos are of the Ballarat Dragonboat blessing ceremony.